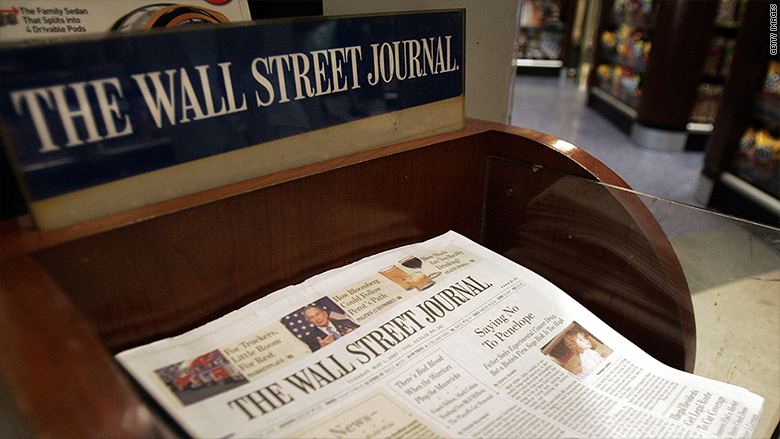 The Wall Street Journal has started the process of laying off staff and will significantly trim down its print edition as it grapples with advertising revenue declines. The downsized Journal, which will debut November 14, will combine some sections and reduce others, resulting in less coverage of arts, culture and local news. The Greater New York section, which launched in 2010, will be folded into the main section of the paper. "All newspapers face structural challenges and we must move to create a print edition that can stand on a sound financial footing for the foreseeable future while our digital horizons continue to expand," Gerard Baker, the editor-in-chief, wrote in a memo obtained by CNNMoney. "The new paper will maintain and strengthen our core news coverage - the finest reporting on business, finance and economics - but in a sharper, more concise, more coherent and more easily navigable form," Baker wrote. The announcement comes as the Journal girds for weeks of layoffs amid declining ad revenue. In October, Baker said the paper was anticipating a "substantial number" of buyouts in an effort to "limit" layoffs, but as of this week the paper was forced to begin mandatory, rather than voluntary, cuts. At a meeting on Wednesday, the Journal told reporters from the Greater New York section that their positions will be cut, but they will be eligible to reapply for new positions. "The Greater New York section will no longer exist in the way it does today," a Journal spokesperson said. "We've informed the Greater New York team of this change and let them know that there are opportunities available within the Journal's other sections. Those open positions will be posted internally today." In addition, 48 union members who requested the buyout have had their request accepted, according to the Newspaper Guild. The Journal would not comment on the impending cuts, nor how many employees will be affected. The new Journal will combine Business & Tech and Money & Investing into one section and the Personal Journal and Arena sections into another section. As a result, the paper will publish just two sections on Tuesdays, Wednesdays and Thursdays, with an additional section on Mondays and Fridays. The paper's weekend edition will remain unchanged. The end of Greater New York, especially, would seem to be the final nail in the coffin of Rupert Murdoch's ambition to have the Journal go head-to-head with The New York Times and the city's tabloids on metro coverage. When Murdoch launched Greater New York in 2010, it was widely seen as the opening salvo in a newspaper war between the Journal and the Times that now seems decisively over. Print advertising is down across the newspaper industry, resulting in overall revenue declines as digital fails to compensate for print's losses. On Wednesday, The New York Times reported an 18.5 percent decline in print ad revenue, bringing total revenue down by 7.7 percent.